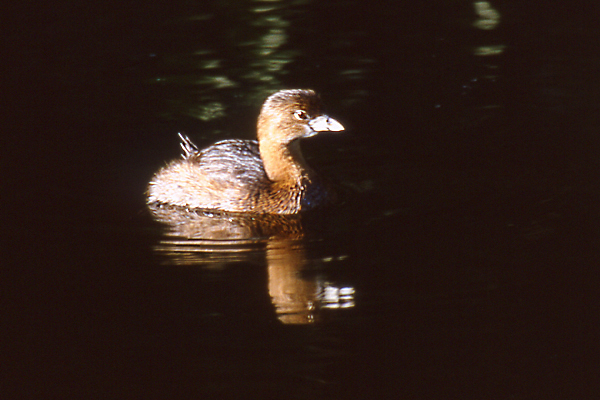 Pied-billed Grebes generally are present in the large marshes near Fish Lake. Eggs and young were found west of Fish Lake in 1975. 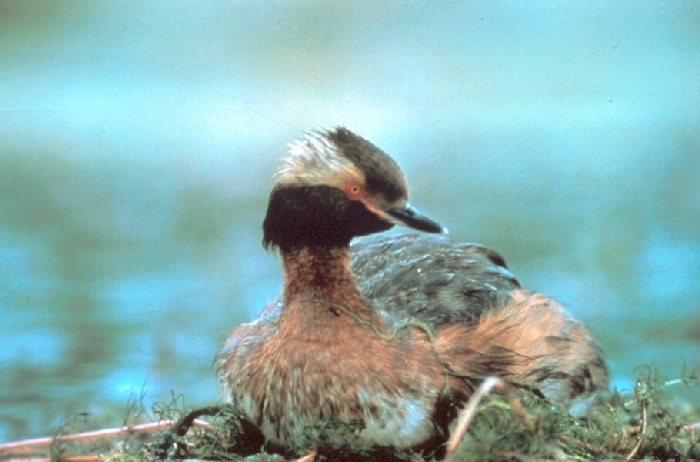 Horned Grebes in some years are not recorded at Cedar Creek, while in others, migrants are present in large numbers on Fish Lake in the spring. 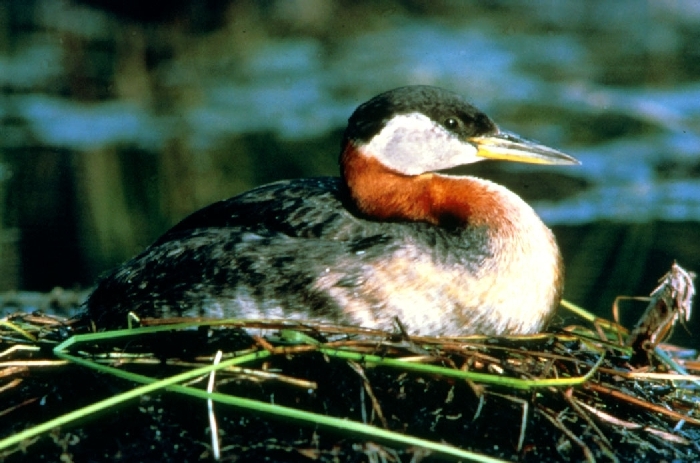 Three Red-necked Grebes were on Fish Lake on May 22, 1987, the first Cedar Creek record. A pair successfully nested on a floating island of vegetation near the northwest shore of Fish Lake in June 1987. Red-necked Grebes also nested on Fish Lake in 1988 and 1989, and young were with the adults in 1988.